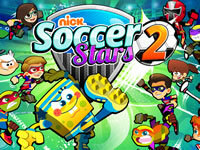 Nick characters are back for a brand new Nick Soccer Stars game. 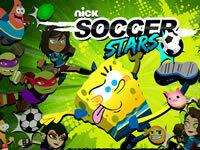 In this sequel, you'll play as Patrick, Spongebob, the Ninja turtles or the Power Rangers. 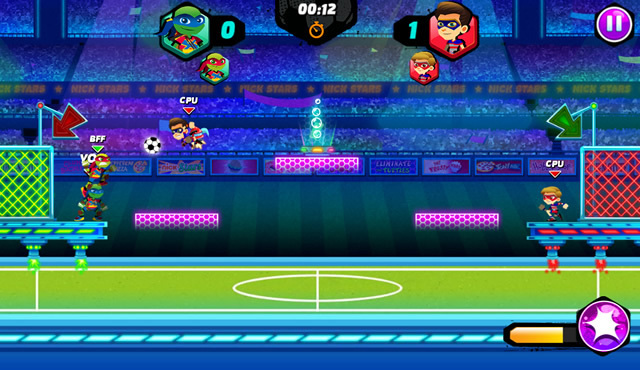 Choose your favorite characters and try to score goals. Good luck! 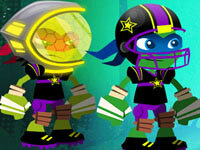 Use the arrow keys to move and Space to hit the ball.